Welcome to Kanjoh! Kanjoh is a directory of free videos designed to help you learn about personal finance, investing, and the financial crisis. All of our videos center around helping you answer one question: how can these topics affect your life? just purchased an excel item from you..GREAT job. Thank You. You are doing a really good job! The videos are very helpful!!! These videos are excellent!!! I am very impressed! Thanks for the time and effort put into these. Thanks you really did a good job. Very Helpful!! Precise and short explanations with no complex jargon. Amazingly simple way to understand some difficult concepts. Am currently an undergraduate studying International Business and this helped me with my Financial Communcations module! am deffo going to be using this site again! I found it real helpful, Thank you soo very much. I need to fns a amortization schedule or such that I can enter in the payments made. I was looking at your Mortagage calculator with amortization schedule and it allows extra payments but not if you miss a payment. How does that affect interest if the payment is “caught up” the next month? How do I download these videos for offline viewing? I don’t always have connection to internet. Please help. thanks. you do a great job! it.s gonna be very usefull for all of those who are interested in economics! Sorry – I don’t currently have a way to provide these videos for download. As being instructor of finance this side provides me alot of knowladge to teach my student. Thanks for providing us such great knowledge. I am a student in a Finance100 class. The text is dismal. It is more a brief than a text book. 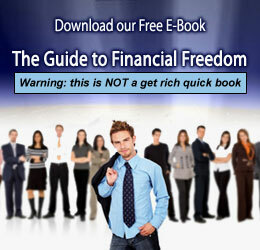 In other words it assumes you, the reader, is familiar with many of the concepts in Finance. If you’ve never invested in a stock, or took out a 401k plan, or ran a business, the material can cause a lot of headaches because it explains the material to someone that has, offering tips and presenting new ideas and occurences in the markets. For me reading the text gets me nowhere, Ex. What are weighted averages, and why are they used? More importantly what role do they play in project management scenarios (choosing options of two mutally exclusive projects, etc..
Lots of useful and extensive information. Keep up good work. This site is the best source I have seen in the web for any financial advice, I would really love to ad a link in my page to this site. Hi Kanjoh, thanks alot for your site, i have a better understanding of finance. it is easy to use and i have learn alot in a short period of time. it is a good resource for a beginer.